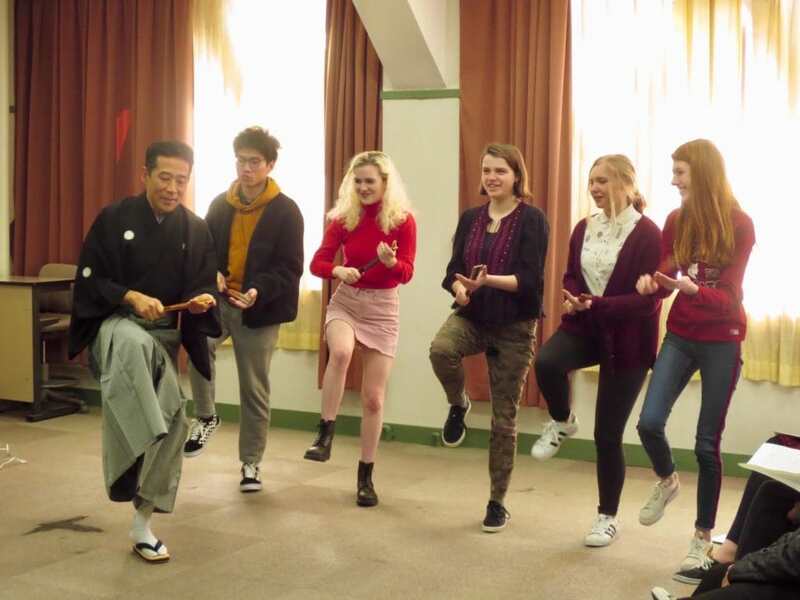 Mr. Katsumi Yanagimoto has returned to AKP again this year to give a workshop on kyogen (traditional comic theater) for our students. 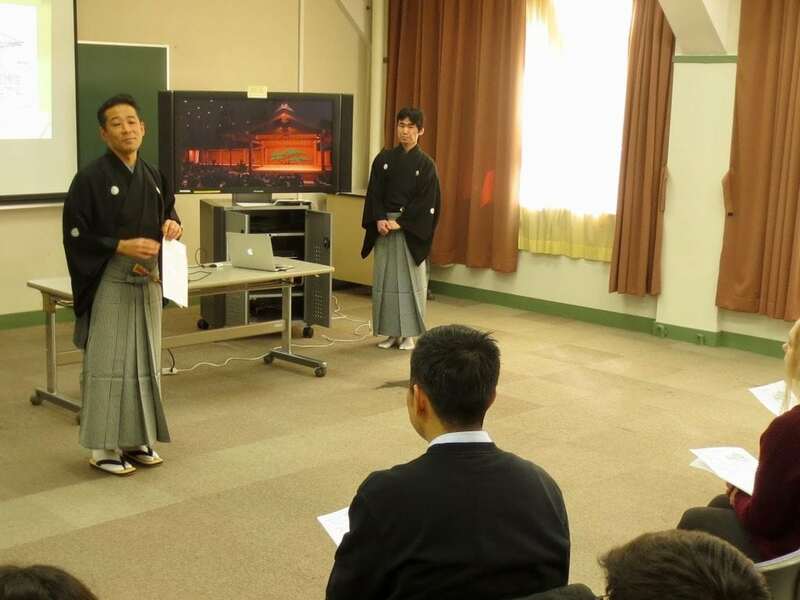 Mr. Yanagimoto (left) taught the workshop with his co-star, Mr. Kawata. 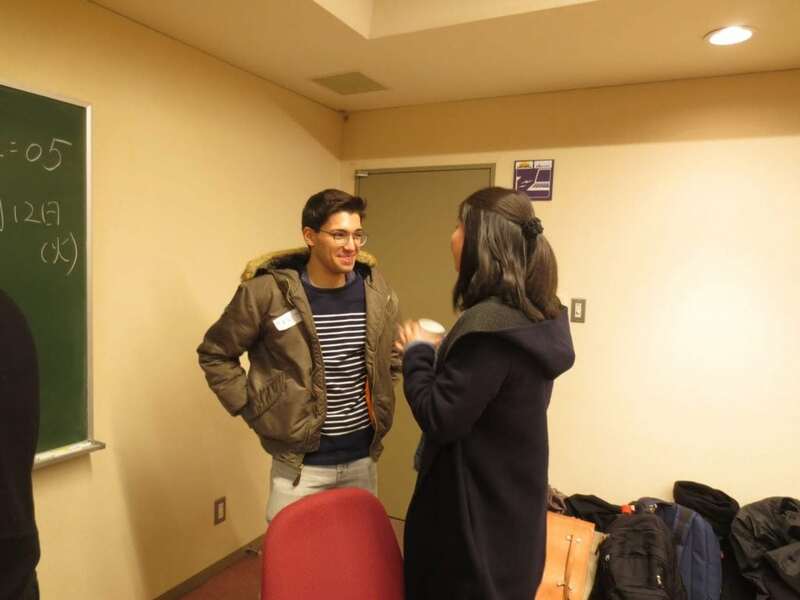 When he was a student at Doshisha, he created a kyogen club on campus! 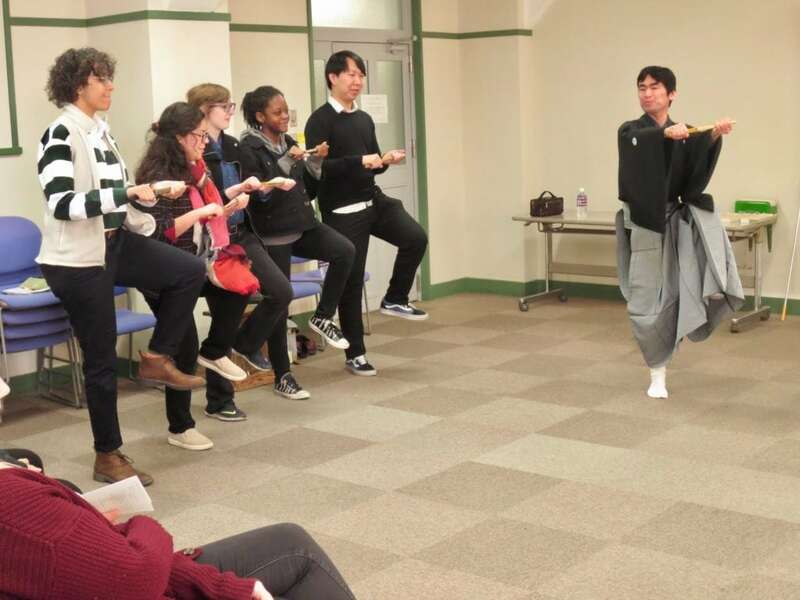 After explaining the characteristics and history of kyogen, students got the chance to perform part of the kyogen play Chidori. 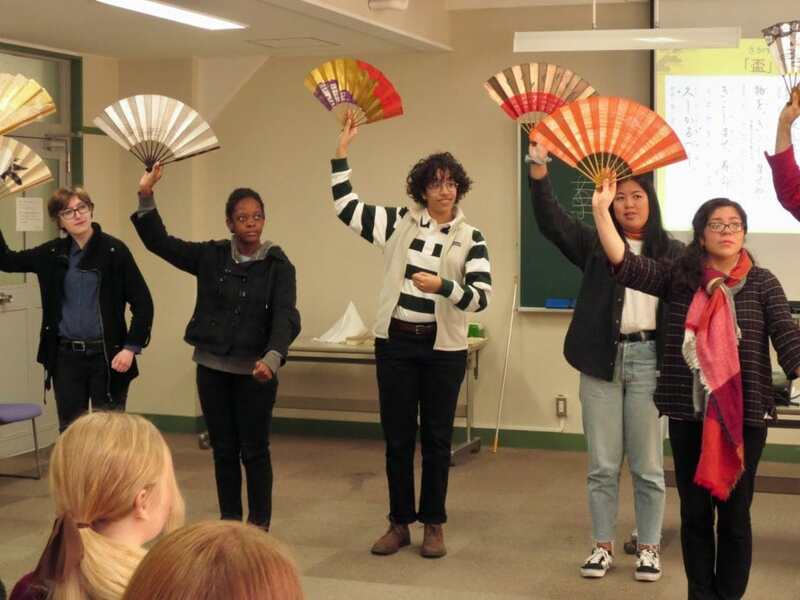 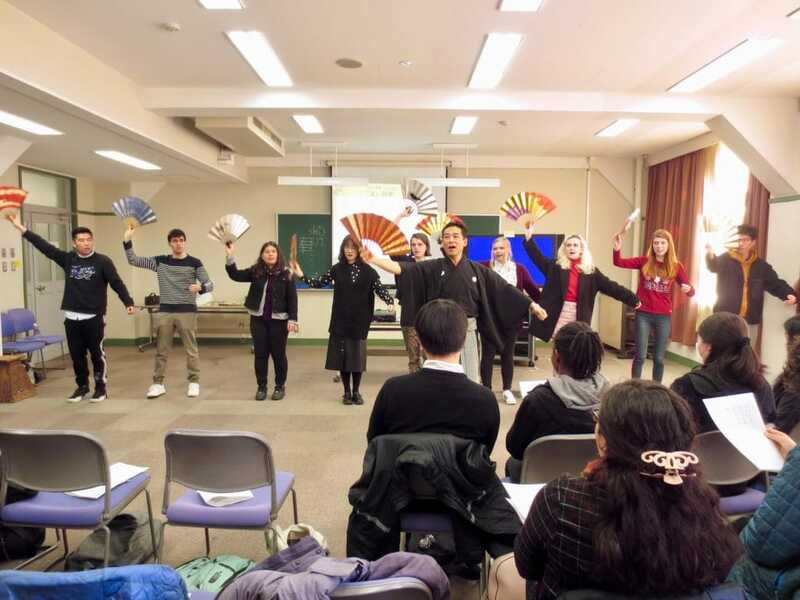 Students were taught how to dance while using the folding fan as a prop. 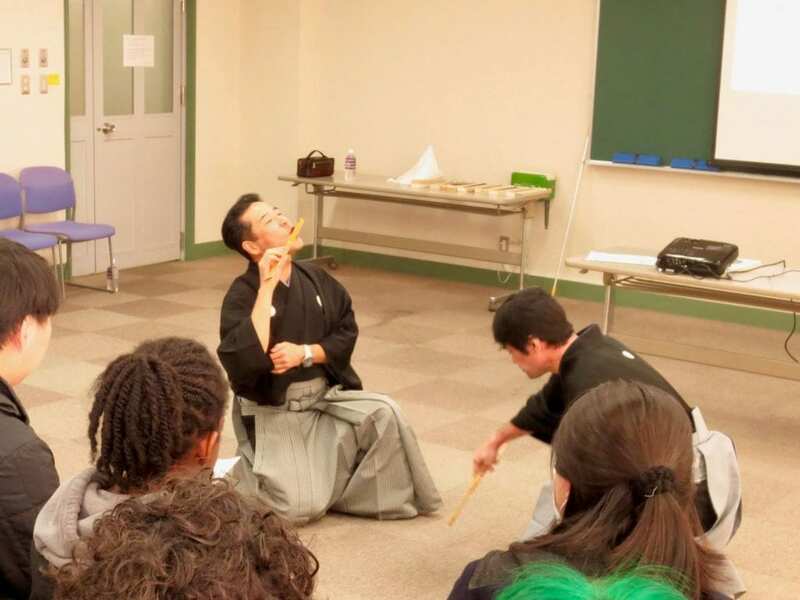 There are many places in Kyoto that give kyogen performances, so if you are interested, make sure to have a look! 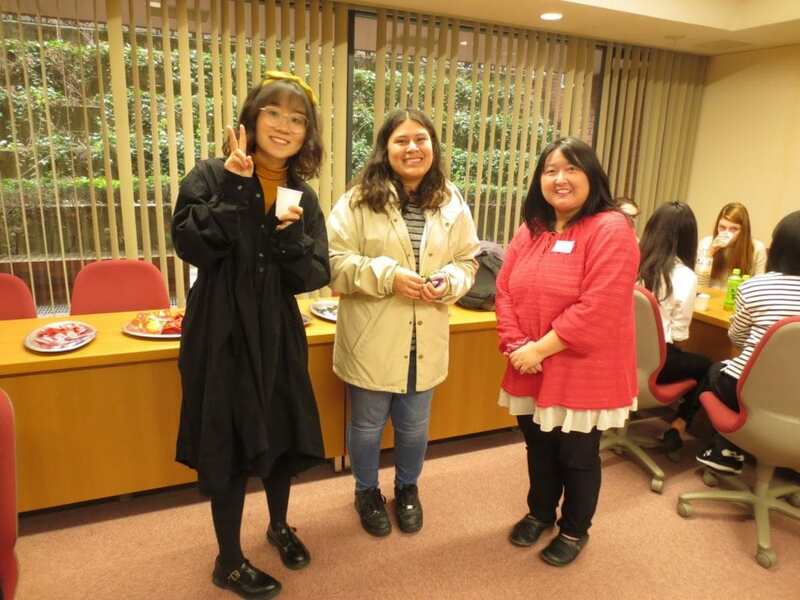 Mr. Yanagimoto, Mr. Kawata, thank you for coming! 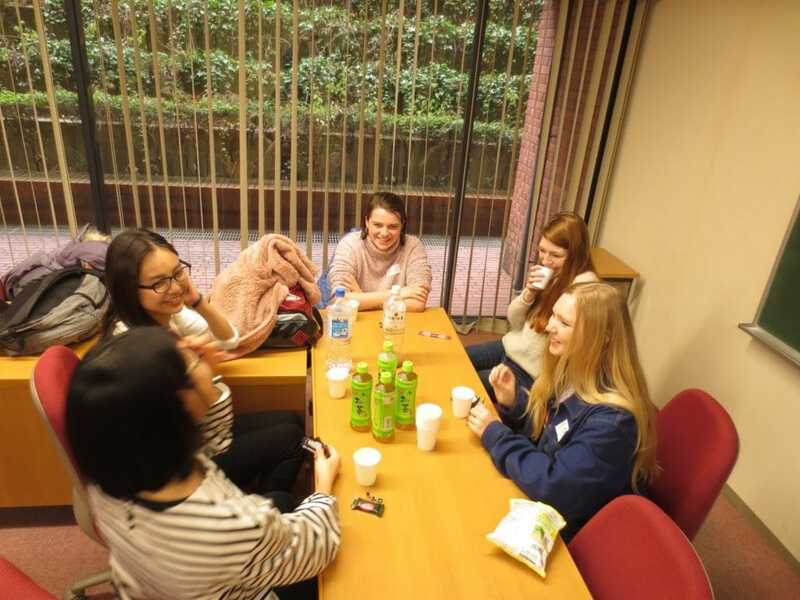 Today was the third Japanese Language Table of the semester. 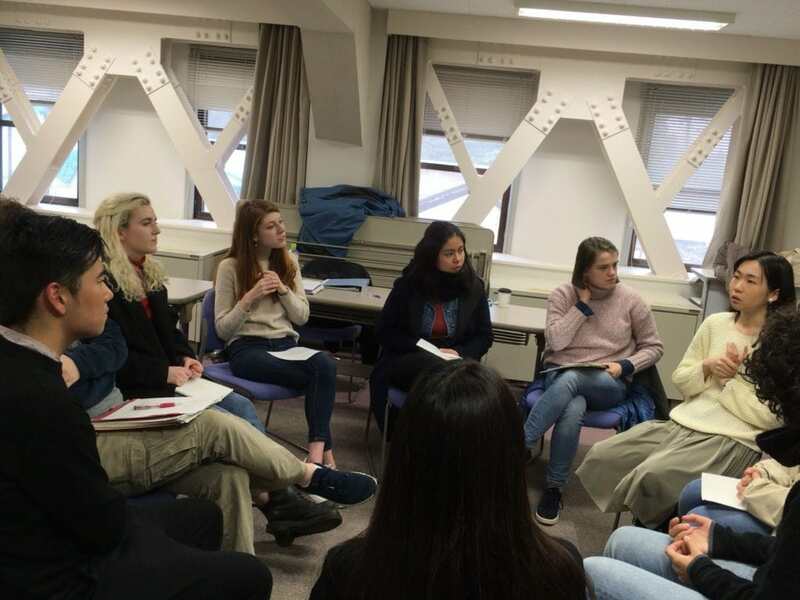 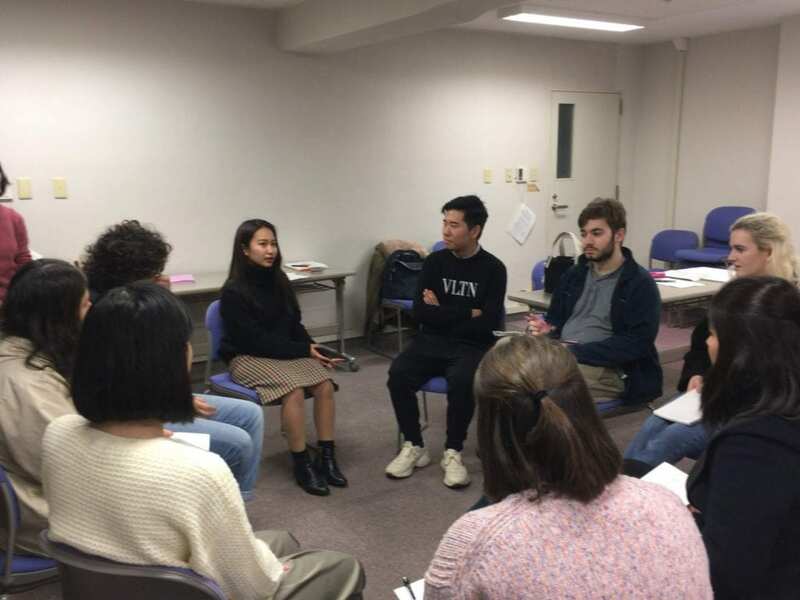 As it was Valentine’s Day, students discussed how the holiday is celebrated in the US, and the differences between American and Japanese Valentine’s Day. 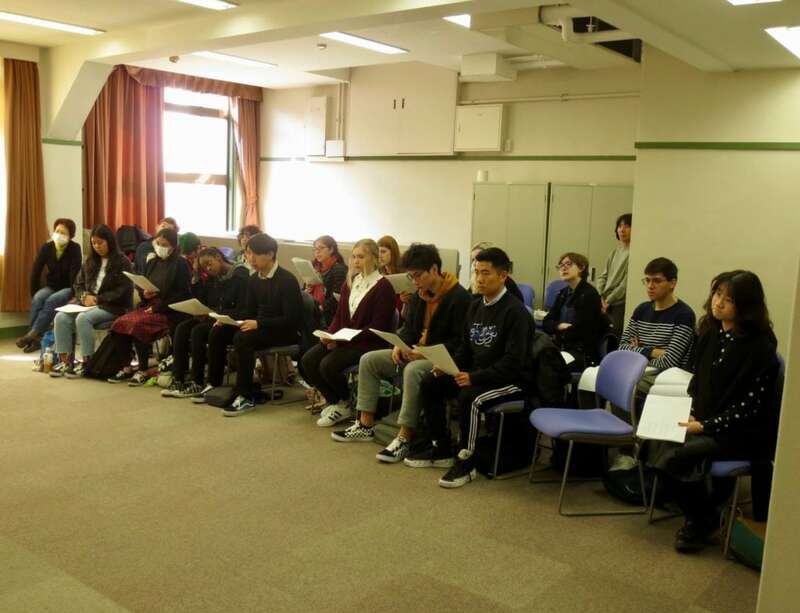 AKP students were surprised to learn that many Japanese college students live with their parents through college. 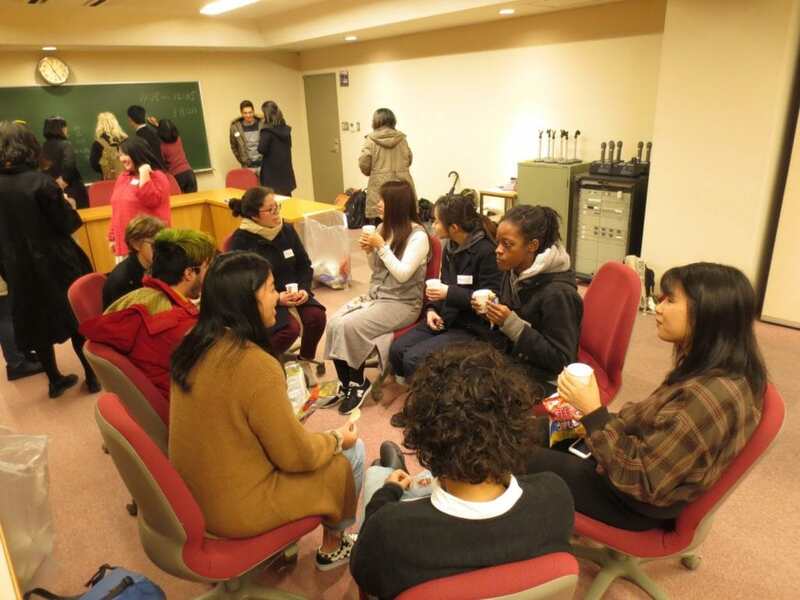 They heard some interesting stories of students’ commutes from home to campus! 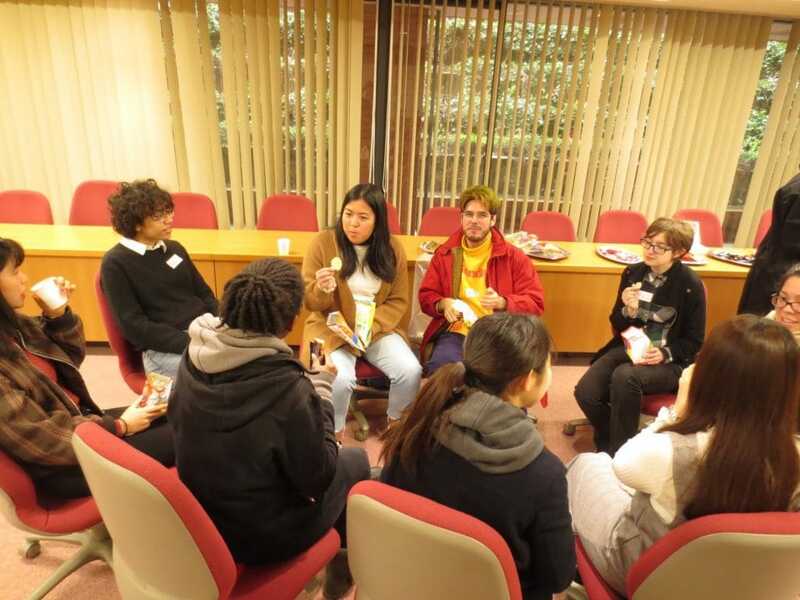 On the other hand, Japanese students were surprised by the difference in cafeterias and the large presence of athletic teams at American colleges. 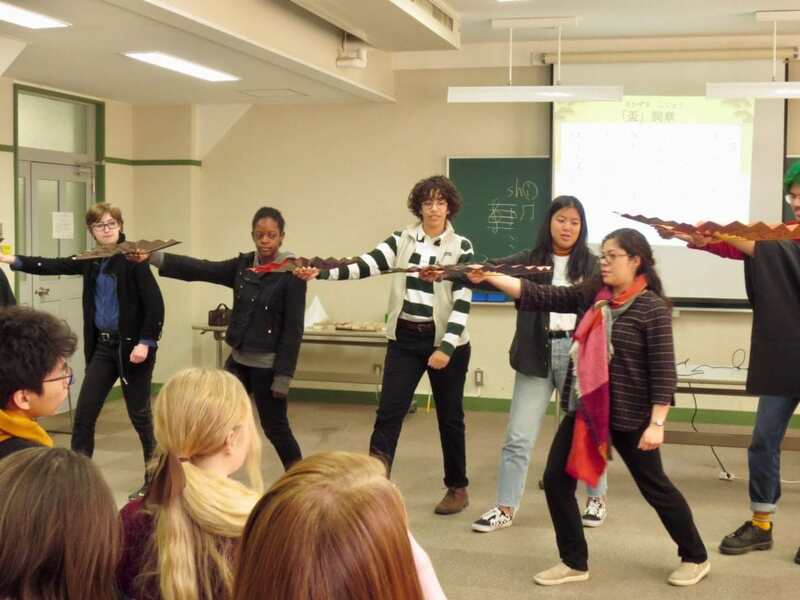 Forming a big circle to have a discussion gives the students the advantage of seeing everyone’s faces clearly. 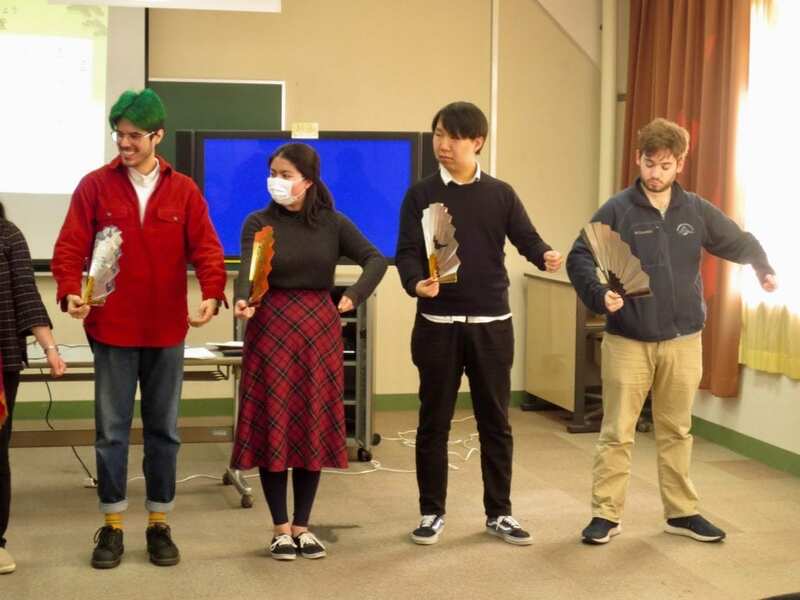 Everyone was every animated! 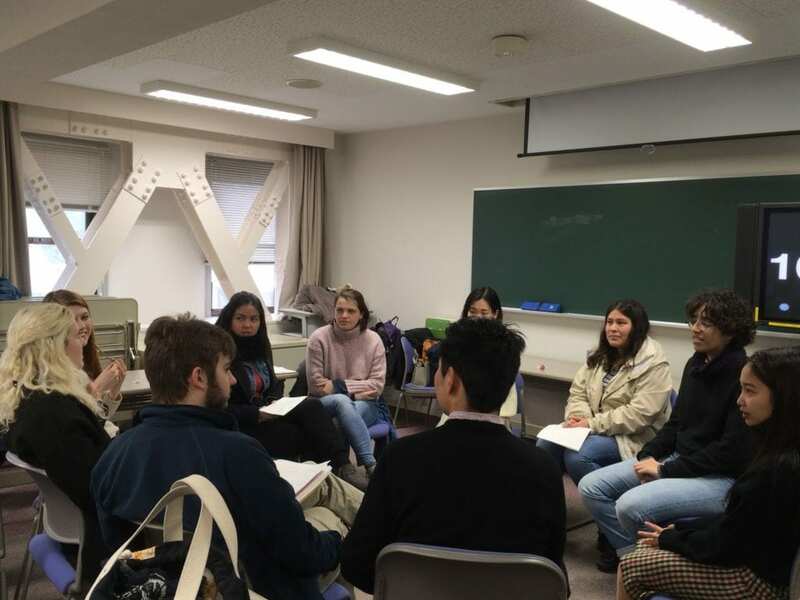 Doshisha student volunteers, thank you for coming!